Who is Your Best Audio Train buddy? 81%* of sportsmen prefer to listen to music when they work out. Studies show that this is because music can motivate and push you, and help you to beat your best. The question is, which headphones are the best when it´s up to your favourite sports? Jabra offers products for different training types – from running, cross-training and fitness. Go through the test to find yours! When is the best time for a training session? What´s the most important thing for you when you work out? Which gadgets do you use when doing sports? Do you like to train alone or with a group? Jabra SPORT PULSE WIRELESS – the perfect solution for running. You love to run and to go through different training zones: Whether a slow jog or a fast sprint, Jabra Sport Pulse Wireless is your partner: Forget about uncomfortable chest wraps in or smart watches, this offers the world’s first in-ear biometric heart rate monitor and in-ear coaching. You´ll find out in different exercises, which training type you are and how to train in your perfect heart rate zone. Want to know when you have run another 5km? Jabra Sport Pulse Wireless will tell you right away. Immersive Dolby sound allows for optimal training and the integrated sports app will provide a wealth of personal data. 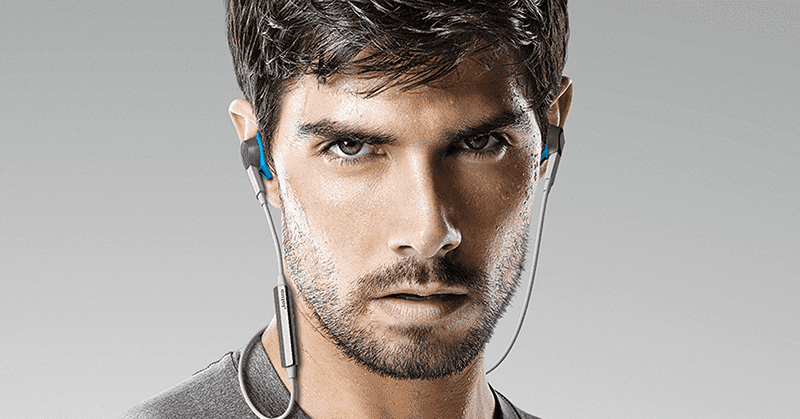 See the whole Jabra Sport Pulse Wireless package in action. Jabra SPORT COACH WIRELESS – optimized for cross training. A must-have for any gym goer, the Jabra Sport Coach Wireless, when teamed with the Sport Life app, offers over 40 different exercises to choose from. Your focus is on a whole-body-training and Jabra Sport Coach can help you to achieve this! Integrated in the earbuds is your personal training, so that you will be told in real-time, which exercise is coming up next. This fully customizable in-ear coaching and TrackFit motion sensor captures you personal distance, speed, cadence and calories. Sweat, dust and shock is no longer a problem, because Jabra Sport Coach Wireless is built towards US standards and is IP54 certified. Let´s go on in 1, 2, 3! 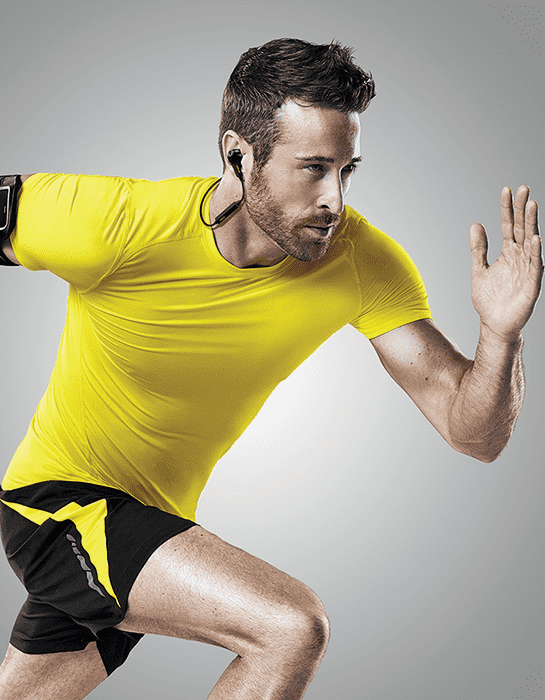 Jabra SPORT PACE WIRELESS – optimized for fitness. Jabra offers you an affordable solution to take the next step on your fitness journey. Even if this journey is tough, the premium sound and ergonomic design is sweat and weather resistant. Are you a beginner in terms of working out, but would like to start it right? We have the solution for you: Jabra Sport Life app will help plan, track and analyze your workout. Do not let time restrict you; you want to go for a night run? No problem – Jabra Sport Pace has a reflective cable that ensures that you are seen by cars, bikes and other runners in the dark to get home safely. *81% of 1328 respondents to a Jabra consumer survey April 2014 either always or usually run listening to music.